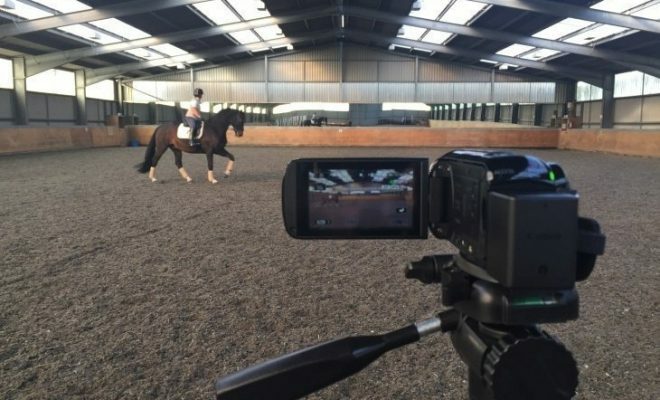 When competing in online dressage, it’s important to make the best video you possibly can. A well-presented video can mean lots of extra marks, so it’s important to do a good job. 1. Always position the person filming your video at ‘C’. This is the judge’s usual position and provides a clear view of every movement you ride. For example, if the test is filmed from a position two feet to the right of ‘C’, your centre line will not appear straight or accurate, and you will lose marks. 2. Ensure that the whole arena, including the corners, can be seen on the video. 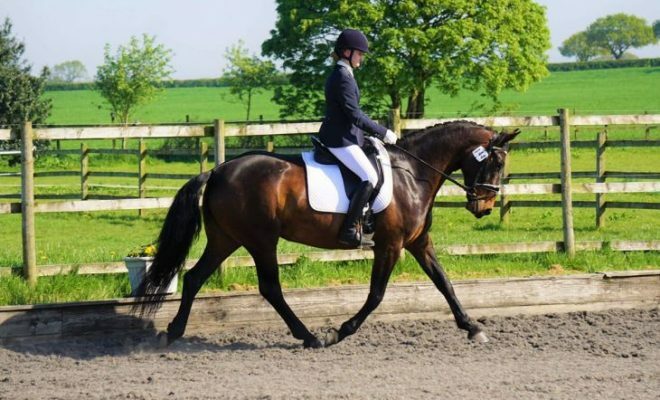 Movements that are not visible to the judge will be given a poor mark, or even no mark at all! 3. 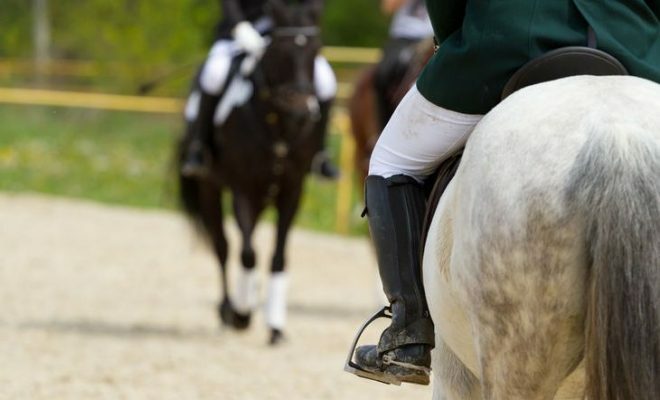 Make sure that the camera is not too close to ‘C’, so that the judge can clearly see the whole of the horse and rider as they pass. This is particularly important if there is a movement, such as a rein back or a halt that is ridden at ‘C’. 4. The arena should be laid out so that all the markers are clearly visible. The corners should be marked out, and there should be guidelines to show the short and long sides of the arena. Measure the arena so that it is the correct size, and make sure the markers are correctly positioned. 5. Be professional – remove any cats, dogs, small children or poultry from the arena before you begin! 6. Learn your test thoroughly, or have it called for you. If you make a mistake or omit a movement altogether, you’ll lose marks unnecessarily as the judge can’t give marks for movements that are not shown. Look for errors of course when you review your test video, and if necessary, re-record the test error-free. 7. If possible, use the zoom facility on your camera or device to film the test. It can be very difficult to accurately assess your work if you appear to the judge as nothing more than a tiny dot in the distance! 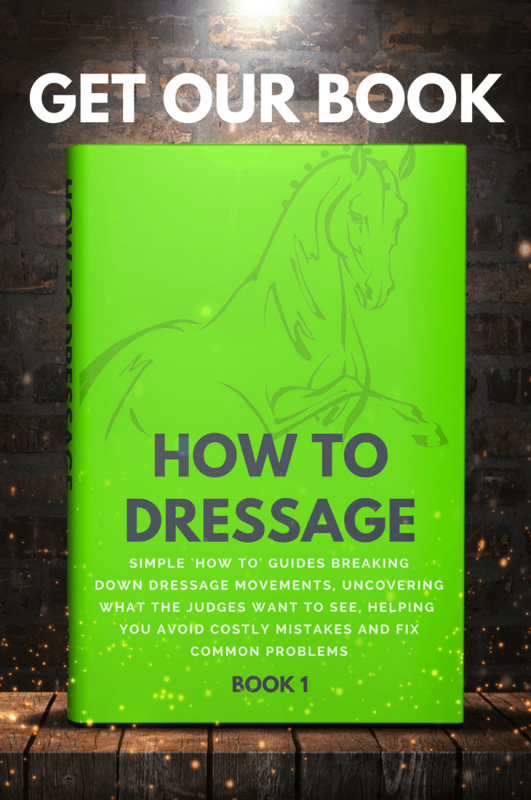 Remember that the judge will need to see the whole arena as well as the horse, in order that circles and other figures can be assessed for accuracy. 8. If you have a tripod on which to mount your camera, so much the better. Camera shake makes it very difficult for the judge to get a clear picture of the horse’s rhythm and outline. 9. If possible, film your test during daylight hours and not on a rainy day. Filming under floodlights can present a very shadowy image, making it difficult for the judge to see what’s happening in the test. 10. Make sure you present your finished video in landscape format, not portrait, and the right way up! It’s extremely difficult, not to mention uncomfortable, for the judge to lie sideways on the desk in order to watch the video! 11. Don’t forget to review your test before you upload it. If your video won’t play correctly, it cannot be judged. 12. 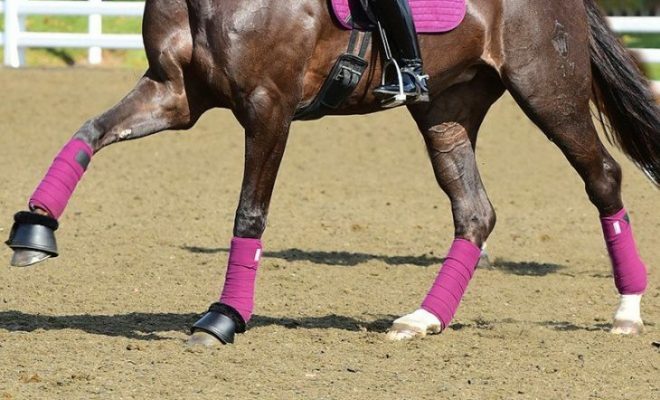 When recording dressage to music, make sure that the music is clearly audible. If you’ve entered a music class and the music can’t be heard, your test might not be judged and all your hard work will have been wasted. 13. 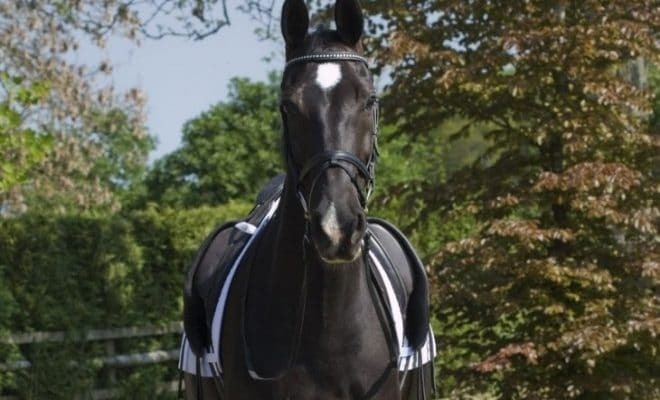 It helps to project a more professional image if you and your horse look neat and tidy. Make sure your horse is clean and has been groomed. Plaiting up isn’t always necessary, but it does help to enhance your horse’s image. 14. Wear something appropriate and smart; dirty breeches and a strappy sun top with your bra straps on display is really not a good look! Clean breeches, boots and a smart ‘T’ shirt or jumper are fine. Long hair looks much better tied back neatly, or restrained in a hairnet. 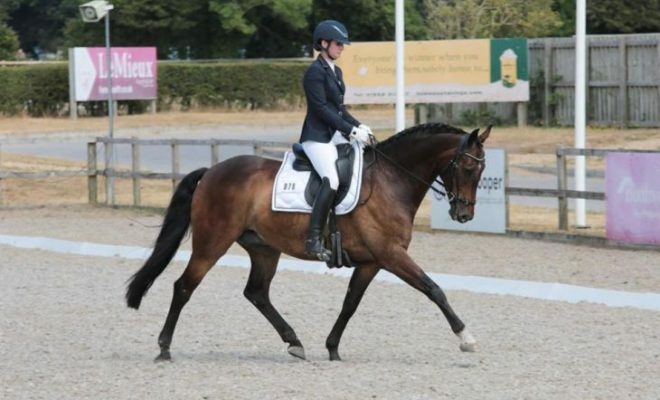 When taking part in video dressage competitions, it’s vital that you present your test as well as you possibly can. 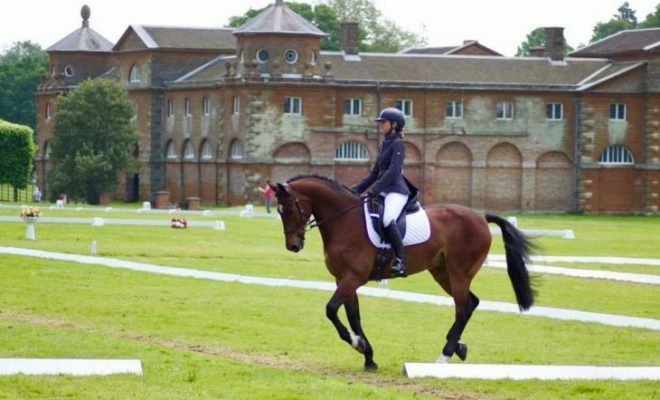 A clear video of an accurate, error-free test performed in a correctly marked-out arena by a well-presented horse and rider are a pleasure to judge and will certainly give you an advantage when it comes to the final scores!